Why is there a special page dedicated to my panel? C'mon, it's what all us pilots focus on and want to see first! 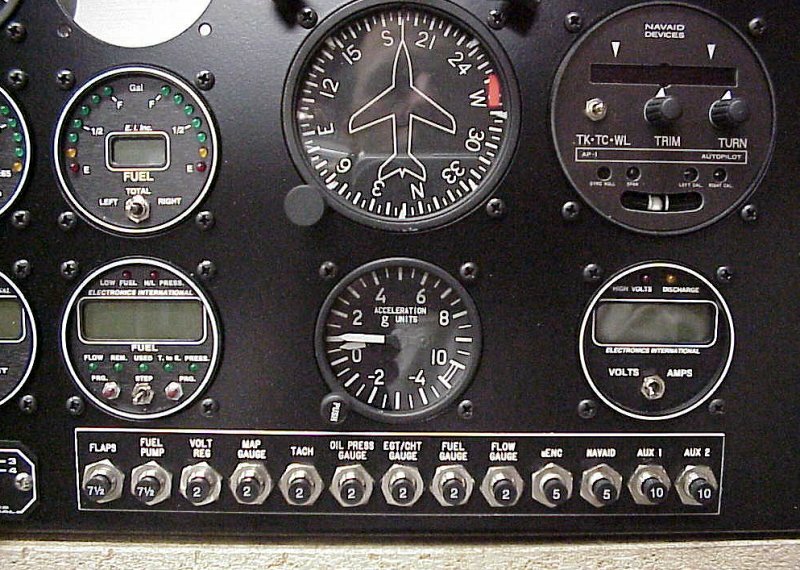 When you fly an airplane the panel becomes the focal point of the whole plane. 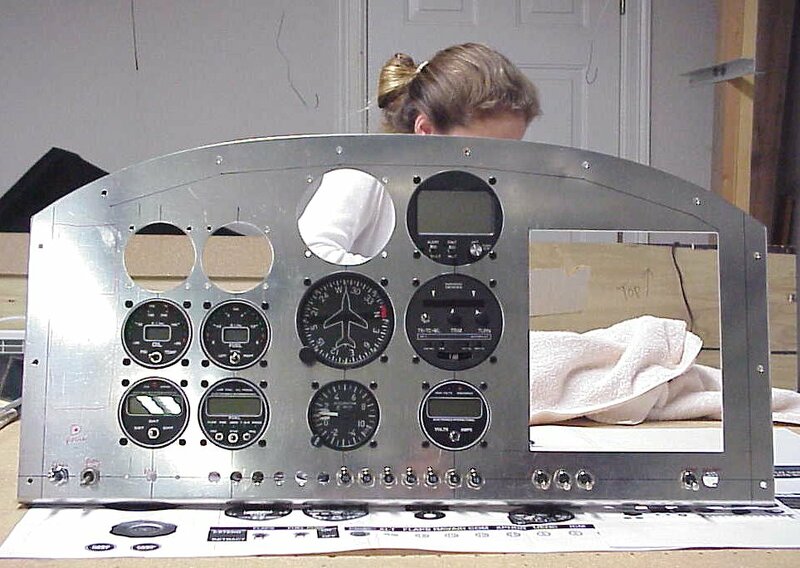 Non-pilots may have a hard time understanding the fixation we pilots have on our panels, but there probably isn't a single section of the plane give more attention and planning than the panel. Ever watched folks at an airshow? They'll typically scope out a plane from a distance, then as soon as they get close they move right in for a view of the panel. This depiction was done in Panel Planner v2.7 software. Suffice it to say for now that I am not enamored with it. It's buggy, does not follow the Windows interface properly, missing some key things it should have (cut and paste for one thing!) and generally klunky to operate. At $99 I can't recommend it. Construction finally begins after months of arriving at the perfect layout, and even buying instruments for it. However as I began transferring the Panel Planner layout to the actual panel blank I quickly discovered that it WOULDN'T WORK. It turns out that the software doesn't scale the instruments or the panel template correctly, especially in relation to each other. The arrangement I had, and that I bought instruments for, wouldn't fit. I had to re-design my panel on the fly and eliminate two instruments. 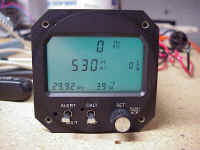 Needless to say I don't have much good to say about Panel Planner.This picture shows my new design with the conventional airspeed indicator and altimeter eliminated. 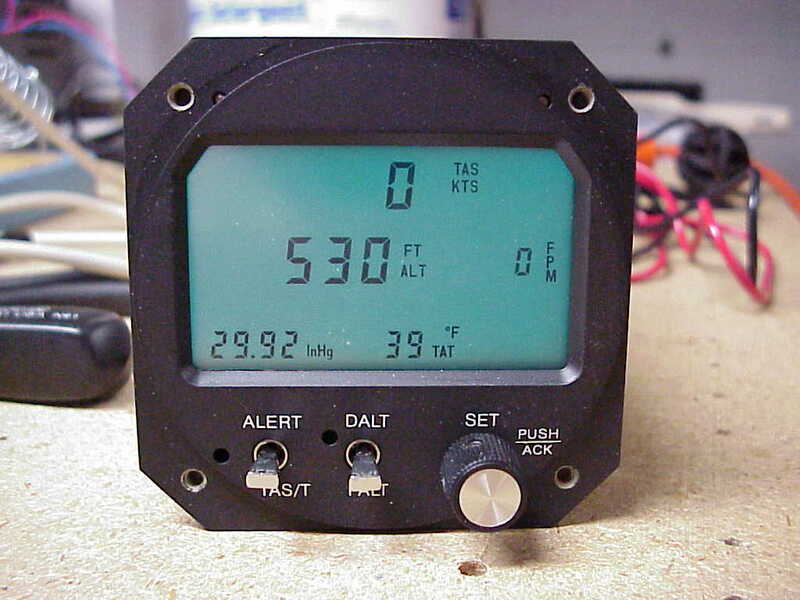 I'm going to rely solely on my RMI microEncoder for airspeed and altitude information. 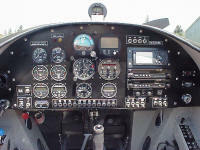 Actually I will have a backup in the form of my Garmin Pilot III GPS. It will normally run from ship's power but will instantly go to it's batteries if power fails. 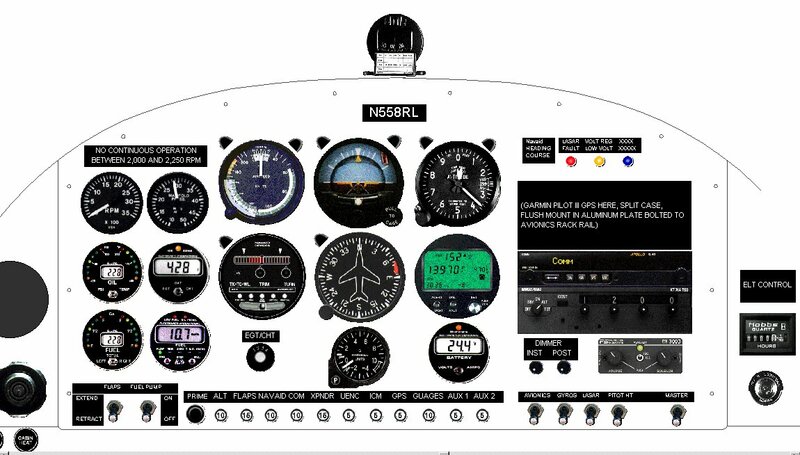 It provides accurate groundspeed and semi-accurate altitude information which will at least get me down in the event of a total electrical failure. 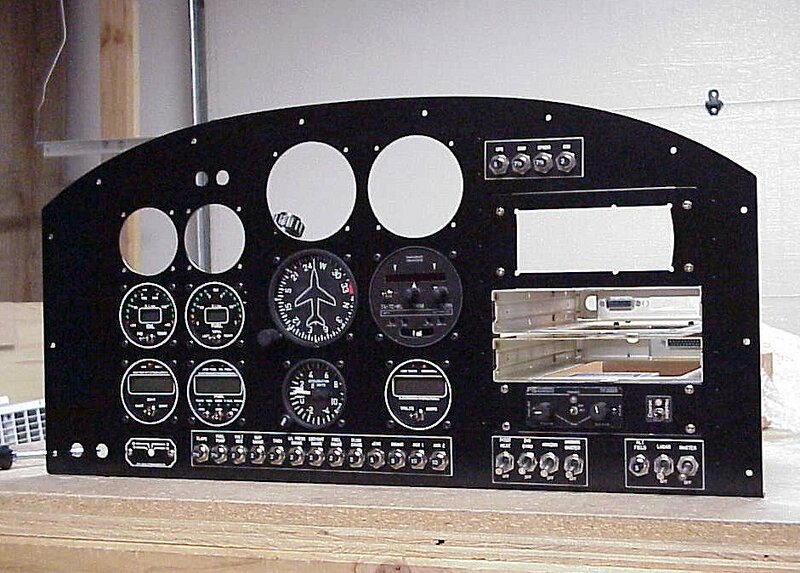 Here's the panel after mounting the instruments I have now. 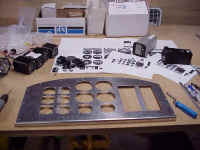 The left two spots are waiting for the new Van's tach and map gauge. My electric attitude indicator, which will go in the remaining large round hole, is off getting the 8 degree tilt put it in it. 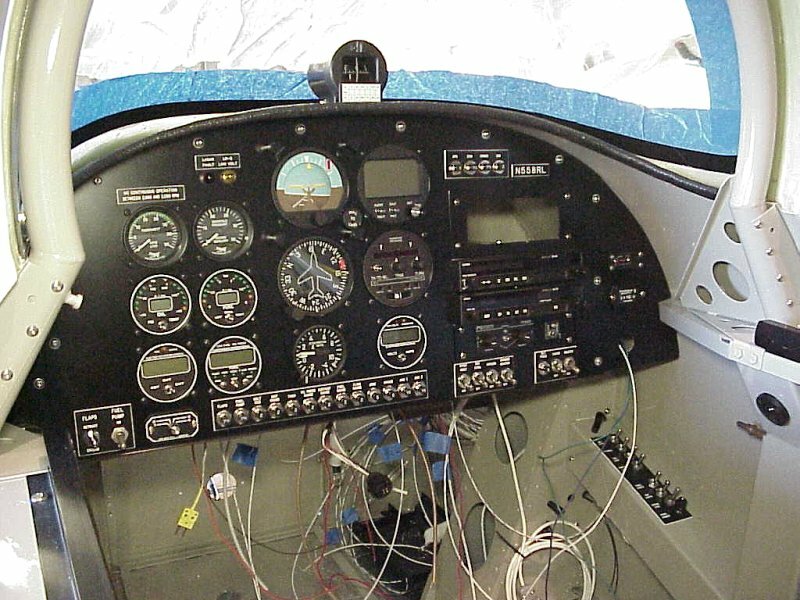 Everything was disassembled, the avionics rack fabricated and installed, and the panel painted. I had a regular trophy shop engrave the labels. Note that I had them made to go completely under all the switches and breakers. This is extra work, but I think it looks more finished and will be more durable... the breaker and switch nuts can't scratch the paint. 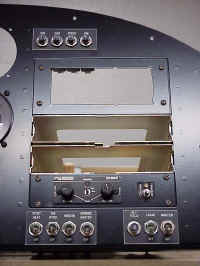 Here you can see the details of the avionics rack. I wanted the flexibility of a rack to be able to change things around in the future, new technology is always being introduced. 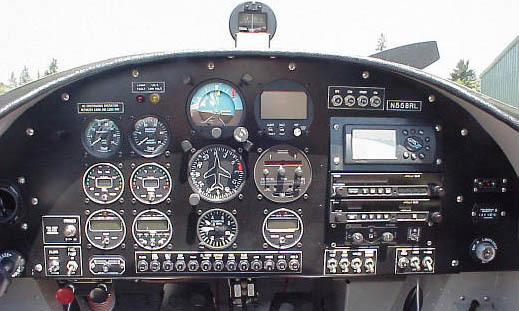 The top spot is that adaptor plate where my Garmin Pilot III will go. The cut-out is precisely the shape needed when the two halves are put together around it... two hours of trial and error to get it right. 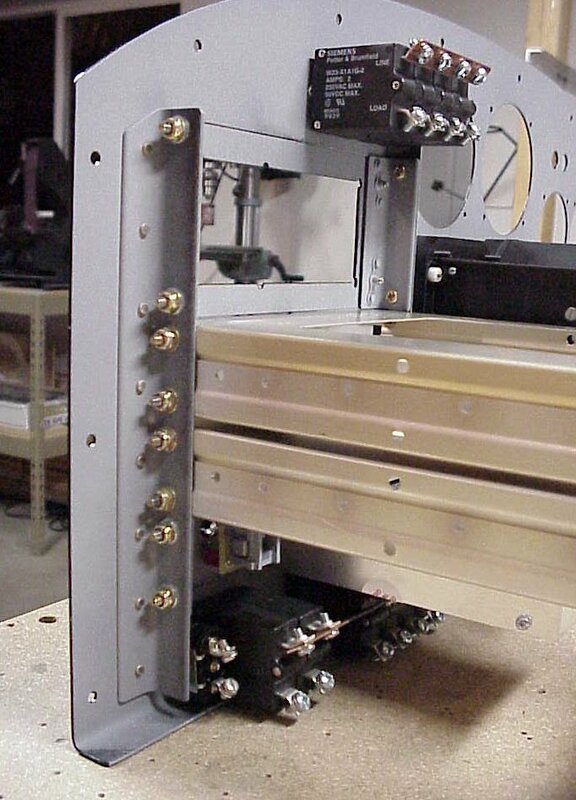 Details of the avionics rack construction. The main angles are 3/4" .063" angle that are flush-riveted onto the panel. 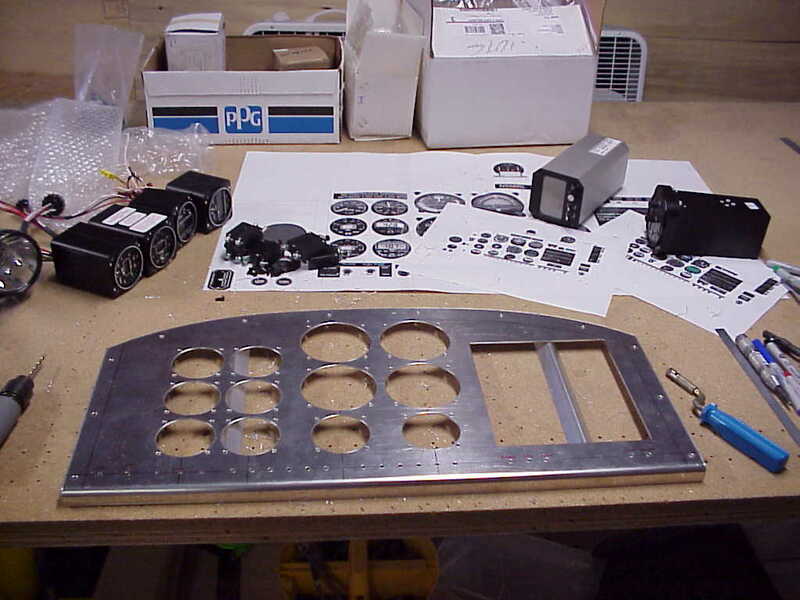 The two avionics pieces are strapped together, and then the rear of the lower tray will be bolted to the forward gear tower crossbar which just happens to be at the perfect height. A main power wire will come from the battery contactor to the volt/amp (internal shunt) meter visible in the center just above the row of breakers. The output will then jump down the inch or so from the meter to the bus bar. Another feed will be wired to the lighting bus on the right hand console. 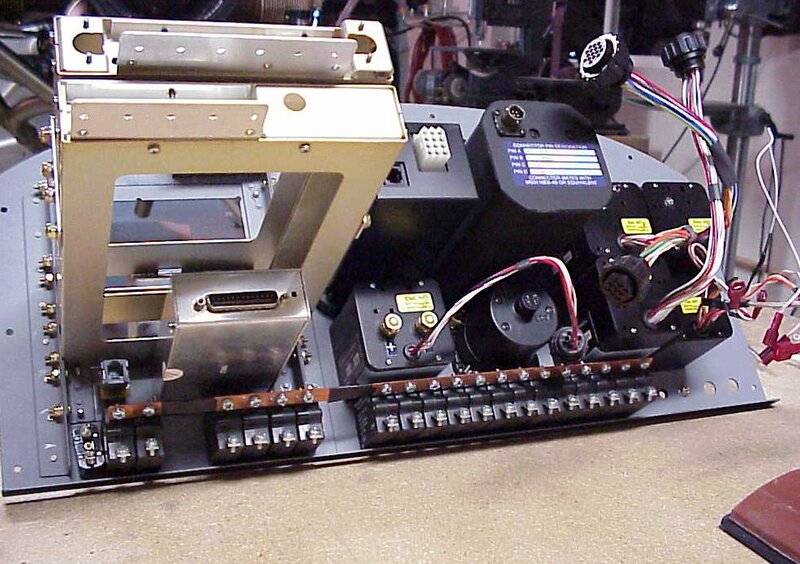 This is the Rocky Mountain Instruments MicroEncoder which will be my sole airspeed and altitude instrument. This can be bought either in a kit or prebuilt. It is a very popular unit and most builder's opt to save the $300 and build it themselves as did I. It's an excellent kit and easy to build. RMI also provides great support. The remaining two holes are for the Van's manifold pressure gauge on the left and my Garmin Pilot III GPS on the right. Detail of the main breaker/bus cluster. (1.6 mb .pdf file) For those of you interested, I wrote an article for our local builder's group about my thoughts on building a panel. Feel free to download it. Just right click on it, select the "Save Target As..." option, and save it to your computer wherever you want it. You will need Adobe Acrobat Reader to open the file. This is what it looks like installed, although not wired yet. I should weigh the panel assembly and post the exact weight, but it is surprisingly heavy. I can lift it into place by myself, but need help holding it to install the screws. 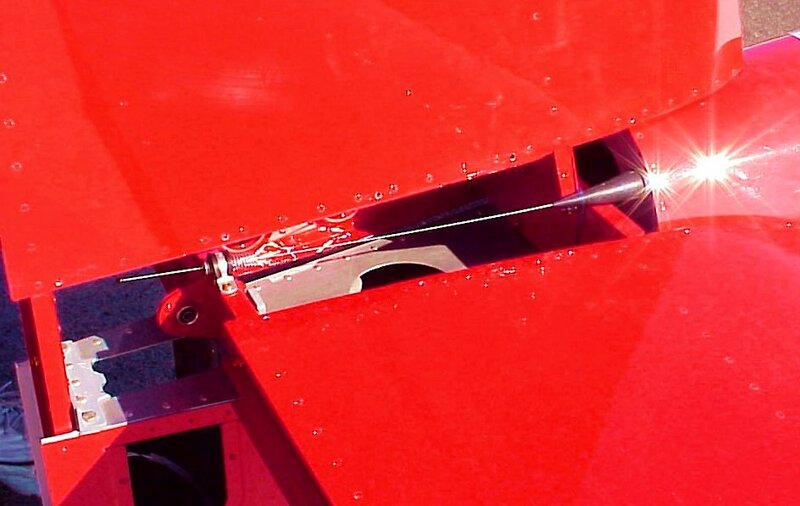 Location of the ELT antenna on an RV-8 is a bit problematic. There are basically three options: one, inside the empennage fairing oriented horizontally, two, somewhere in the interior such as the right side of the passenger area, or three, a rubber ducky at the very forward edge of the turtledeck. All three are a compromise for various reasons. I chose option one which is the way Van's has done all their demo ships. Frankly, the ELT technology we are using now is almost obsolete and will likely be replaced with a new satellite based system within 5 years. The installation I've used is the least disruptive in terms of changing it later. 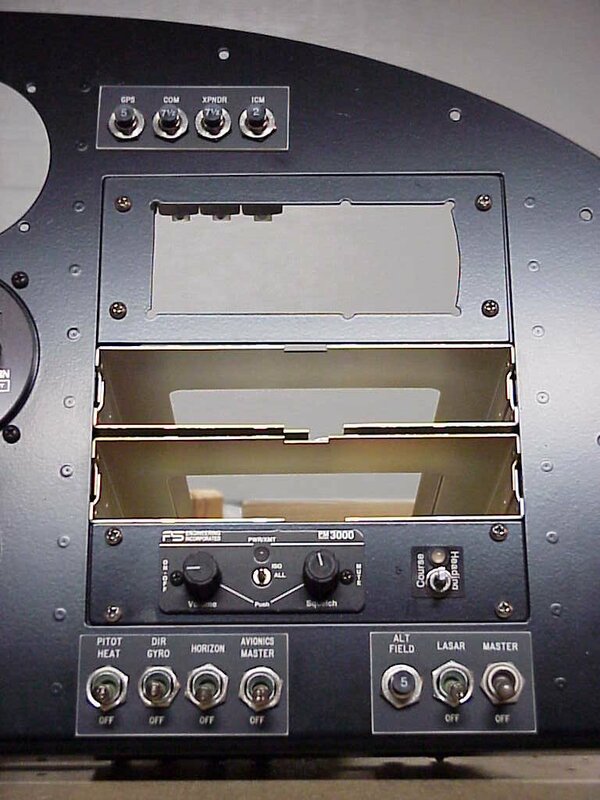 The only holes you'd see by changing are the control box located in the right sub-panel... changing that one will be obvious. When all is said and done here's how it looks installed in the finished plane. I just can't leave well enough alone. 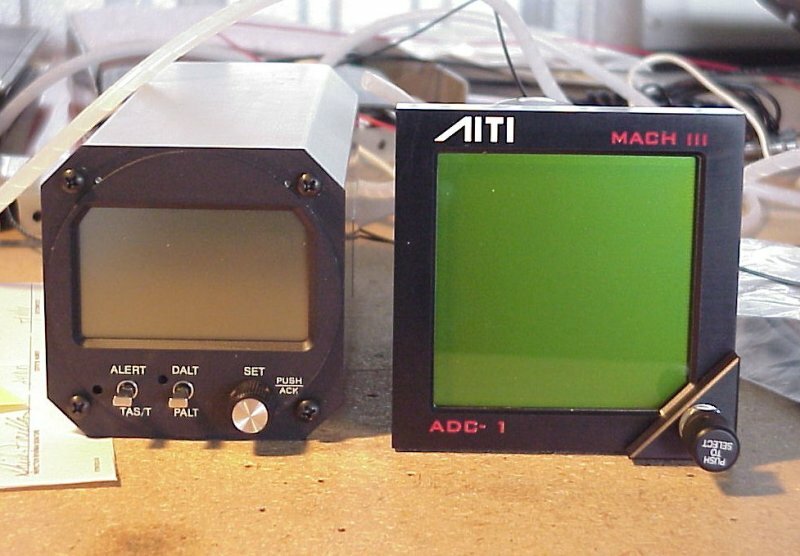 After spotting a magazine ad for the AITI Mach III Air Data Computer (ADC) I just had to replace my RMI Microencoder with it. I'll post the story here soon along with some results. In the mean time you can check out the ADC at www.aircraftinstruments.com. But the story of my panel isn't over. 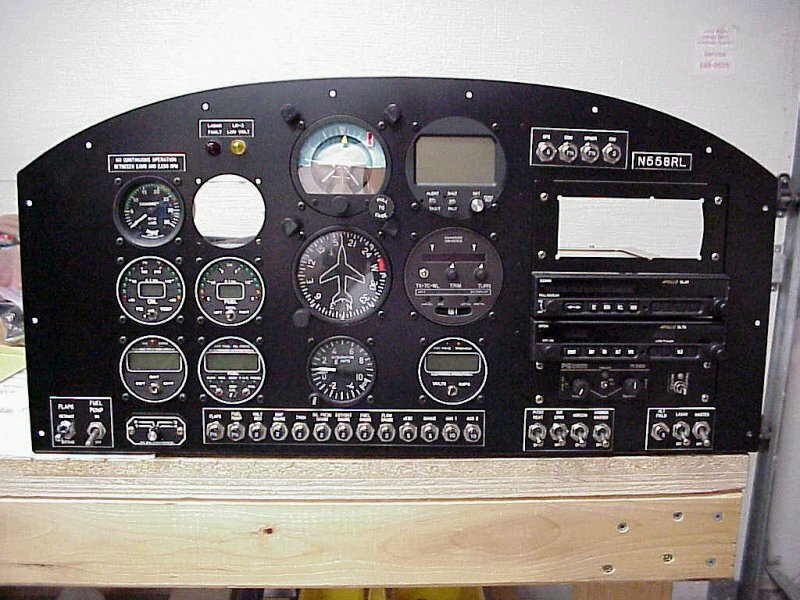 After flying the plane for a hundred hours, and on seeing some of the new electronics becoming available, I decided to make some changes beyond just installing the ADC. See Panel 2 for the next phase.